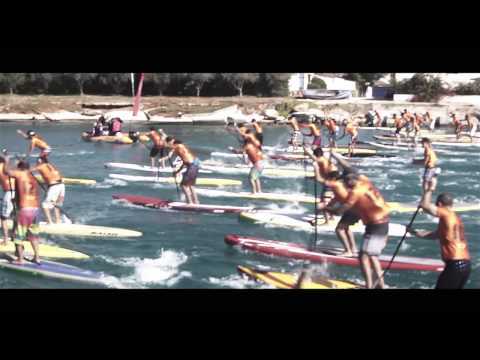 Elite SUP riders from across the world flooded Greece’s Corinth Canal at the end of October for the final race of the 3rd Hellenic SUP CUP, an event set to test their skills and talent in a challenging way. So, on the 20th of October 129 paddlers started the race, stopping all vessel traffic during the challenge. This could easily be named the greatest race in Greek SUP history. It was packed with action and had lots of thrilling moments. Eric Terrien proved to be the best rider, claiming the first place on the podium. He was followed by Casper Steinfath in the second place and Greek Champion George Fragos in the third place. As we said, it was an exciting and thrilling event. If you missed it, you can check out the highlights in the related videos section below and you can take a closer look at the action that went down.